Last week was a short review of the profit drivers for physical traders, where we explained in short how traders make profit. There are a lot of different factors influencing the tank storage sector. Mostly the imbalances in the sector create opportunities for financial players. The market appears to be complex and demonstrating a lack of transparency. PJK International has developed a Tank Terminals Commercial Performance Model to quickly gain insight and a higher proficiency of the tank storage market. This is the first part related to the Tank Terminal Market Model, next week we will publish the second part for you to be able to connect the dots. First we describe the market fundamentals as shown in the image below. Relevant market fundamentals for the oil storage business are the shape of the forward curve, the competitive market structure and the logistical factors supply, demand, imbalances and trade flows. The shape of the forward curve is determined on oil futures markets. The oil price forward curve can be upward sloping (contango) or downward sloping (backwardation). 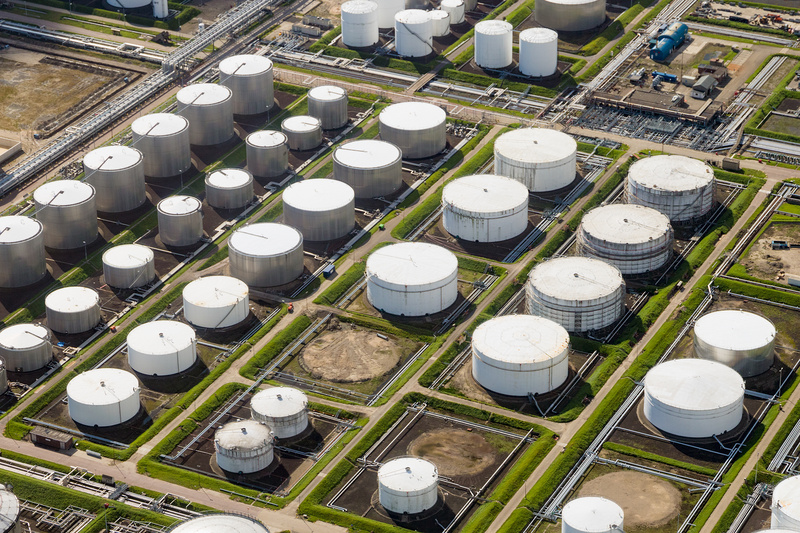 In a backwardated market is less demand for tank storage than in case of a contango. Inventory levels are also lower in a backwardation compared to a contango. Both demand and tank availability are therefore affected and this influences the commercial setting. Furthermore the competitive market structure consists of a supply-side and demand-side market structure. Tank capacity and market shares of various terminal operators are key factors that determine the supply-side competition. The number of players, their size and diversity are key factors on the demand-side of the market. Both demand- and supply-side competition influence commercial performance of the terminals. And also Tank terminals are part of the oil products supply chain and therefore logistical factors such as local product demand, regional refinery output, imbalances and trade flows are very relevant. Developments in these factors influence the demand and requirements for tank terminal capacity. Besides the market fundamentals we have to take into consideration the market dynamics. Relevant market dynamics are inventory levels, arbitrage and trade flows, changes in product specifications and variation in vessel sizes. These market dynamics have a direct influence on operations and on terminal requirements. A terminal that can accommodate and can adapt better and faster to these dynamics compared to competitors will likely show superior commercial performance. From the previous section you could already see that market dynamics are linked to market fundamentals. The market fundamentals and the market dynamics are important building blocks for Insights-Global’s commercial performance model. If you have any questions regarding the above mentioned subject please do not hesitate to us.